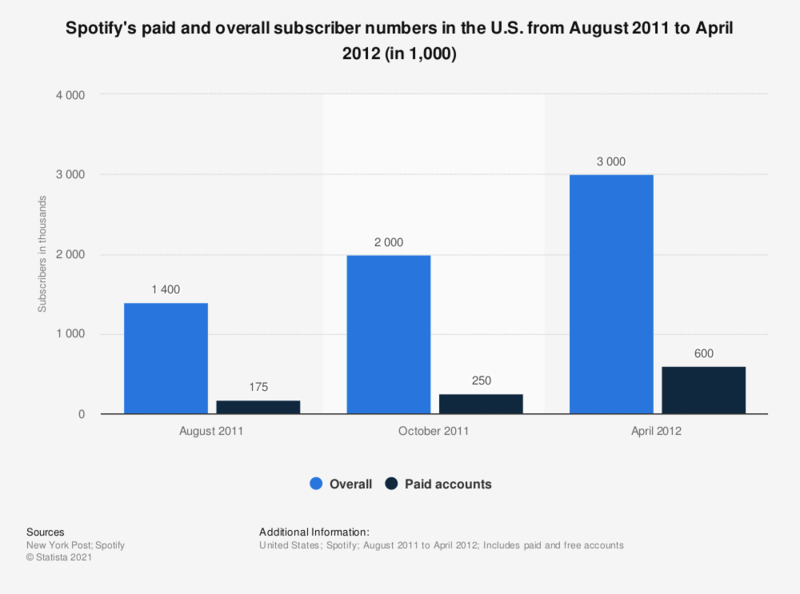 This statistic shows Spotify's subscriber numbers in the United States from August 2011 to April 2012. In April 2012, the streaming music service had 3 million U.S. subscribers with 600,000 of which were paying customers. Figures for August 2011 were taken from this article. Figures for October 2011 were reported to be "well north" of 2 million U.S. users.